Where in the world is Palmer Luckey? Well, he’s not at Facebook. 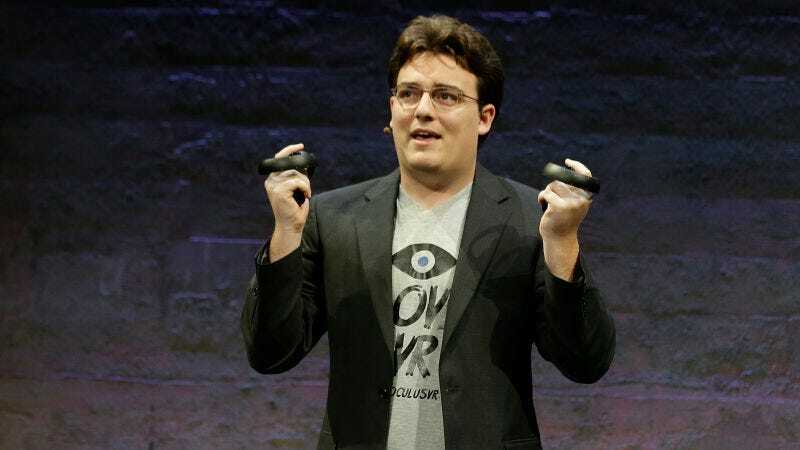 In 2014, Palmer Luckey, the 24-year-old whiz kid who was one of VR’s most prominent evangelists sold his company, Oculus, to Facebook for a cool $2 billion. He has (almost) totally disappeared since The Daily Beast revealed last year he was collaborating with Milo Yiannopoulos to fund a pro-Trump “shitposting” operation. Palmer recently testified in an intellectual property lawsuit that alleged he was complicit in the theft of trade secrets from ZeniMax. Facebook was ordered to pay ZeniMax $500 million, and is currently appealing the ruling. The lawsuit questioned Luckey and Oculus’s origin story—that Luckey built the Oculus in his parent’s garage—and said that Oculus used technology built by former a ZeniMax employee who is now CTO at Oculus, John Carmack. Luckey’s fall from grace has been slow and painful. He was featured on the cover of Time following his big sale to Facebook. Today’s departure comes almost exactly a year after the launch of the first consumer version of the Oculus Rift headset. In the time since, he’s completely disappeared. Recently, Facebook said the Luckey would be transitioning to a new role in the company. Today’s news confirms what should’ve been clear six months ago: Luckey’s days were numbered.